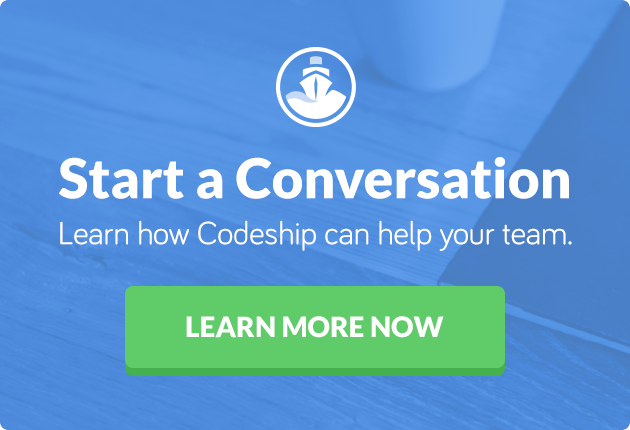 Product Lead at Codeship. Co-organizer of @viennarb. At the end of April 2017 we rolled out improvements to the UI of the Codeship application. As we continue to make improvements to Codeship, it is also crucial that we iteratively improve the design and user experience as well. Staying true to our Core Values, we’ve carefully tracked our users’ feedback and used it to help shape the designs you see below. Special thanks to all our users who have submitted feedback, and also our customers like InVision who provided input in the prototyping stages of the design process. We redesigned our navigation to provide easy access to the most important pages and actions. The updated Organization Dashboard provides a simple build list for better readability and build overview. We’ve also taken the opportunity to make the Organization Dashboard mobile friendly. The updated Projects page provides a simplified overview of all your projects in the order of the most recent build. We’ve also built the search on this page to be lightning fast so you can find the project you’re looking for faster than ever. Build components and actions are now easier to use and are consistent throughout each page of the application. This update was the first change in an ongoing series of improvements we plan to roll out to Codeship users in 2017. Every change we make is to improve your Codeship experience, and we appreciate your patience as we roll out these changes. As always, if you have questions or comments for us, we would love to hear from you. Please send us an email at design@codeship.com.